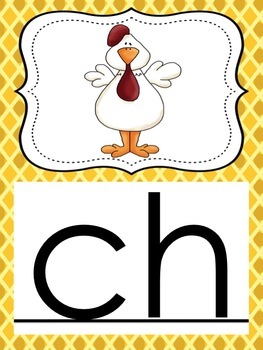 This pack includes 35 alphabet cards to display in your classroom. There are both short and long vowels included as well as digraphs. These easy to read, bright and colorful posters are a must have in your classroom! The best part is... they're FREE! Visit our blog for more ideas and freebies!